Melbourne’s own NBL basketball team Melbourne United have had an explosive start to the NBL season beginning the year by defeating every other team in the competition in quick succession. Melbourne United opened the season with nine straight wins. They sit firmly atop the standings with an unbelievable winning record. After their amazing start Melbourne finally suffered their first defeat this season at the hands of the Cairns Taipans. Already though they seem a lock for the playoffs and are favoured to go further. The secret to their success is no secret at all; in fact it’s in their name. The reason Melbourne United have been able to win is because they have been united. When one of Australia’s oldest basketball teams, the Melbourne Tigers, announced that they would be changing their name to Melbourne United it was met with some controversy. Yet now it all makes sense. United really is the best word to describe the Melbourne club’s team orientated, assist heavy, pass first style of play. The united approach permeates through all aspects of the organisation with players and coaching staff all preaching a team-first mentality. Demopoulos comes to the club from the NBA where he has worked as a lead assistant coach for the Seattle Supersonics, the Portland Trail Blazers and the Los Angeles Clippers. There was already hype surround Melbourne United’s line-up particularly after they’re stellar form in the NBL preseason. But the performances being put out by players in the regular season are really something special. There’s Chris Goulding, the Australian shooting sensation who Demopoulos describes as an ‘assassin.’ After a sojourn in the Spanish league, Liga ACB, Goulding has returned to the NBL playing some of the best basketball of his young career. Goulding’s shot from three is something to be seen and fits perfectly into the pace and space offense favoured by coach Demopoulos. New additions Stephen Holt and Hakim Warrick both join Melbourne United from the NBA. Holt played this year in the NBA summer league alongside the Cleveland Cavaliers and Warrick comes with over ten years experience on various teams. The young guard still yet to see regular NBA competition but hungry to prove he deserves a shot and the veteran journeyman with years of basketball knowledge and experience have both been amazing additions to Melbourne’s roster. While South Sudanese born Centre, Majok Majok has been bringing energy to the frontcourt ripping down rebounds and fuelling fast breaks. Plus outstanding players like Daniel Kickert and Todd Blanchfield are making plays and draining their fair share of threes. With the finals still months away there is plenty more games to play. Yet with a strong start, a formidable line-up and an astute coaching staff this team look like they could go all the way. Melbourne United are living up to their name and the hype with each win bringing them closer to their ultimate goal of a championship. With the team in such fine form the city has got the message and near sell out crowds are regularly attending games. Melbourne has united behind their team. To see Melbourne United in action check out their website http://www.melbourneutd.com.auor if you want to shoot some hoops yourself why not contact the North Melbourne Recreation Centre http://www.melbourne.vic.gov.au/nmrc/. 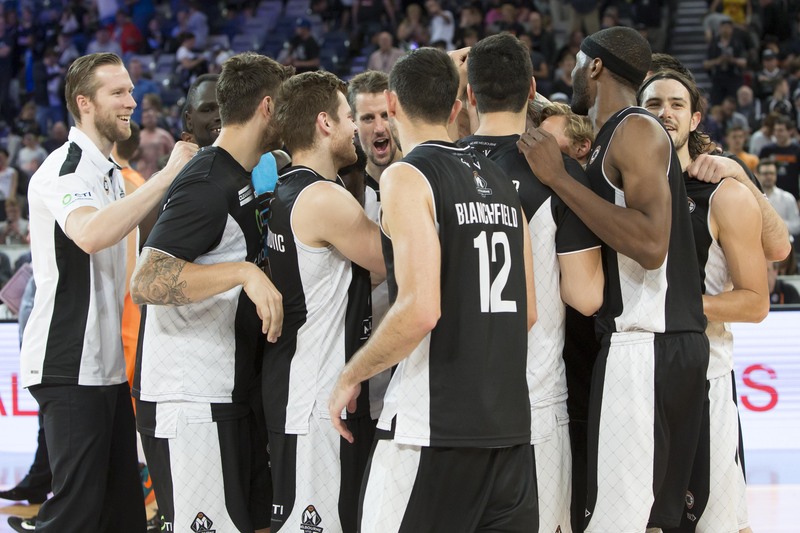 After their strong start to the season Melbourne United finished on top of the standings. However they were eliminated in the Semi-finals of the playoffs by the New Zealand Breakers who were themselves defeated in the Finals by the Perth Wildcats.